An international team of researchers have dated painted art found on the walls and inside four caves in Spain and discovered that the oldest known art in the world long predates behaviorally modern humans. Previously believed to be solely the province of Homo sapiens, the painted walls and marine shells are indisputably the work of Neanderthals. The paint is made of mineral pigment, not charcoal, so it’s not possible to use radiocarbon dating to figure out how old they are. 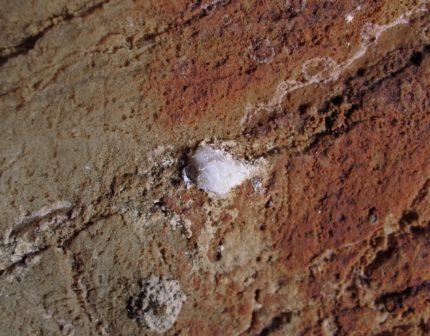 Instead, researchers turned to the calcium carbonate crusts that formed on top of the paintings when water dropped down the wall. The art has to be older than the calcite, ergo, dating the calcite gives a minimum age of the paintings. Calcite crust on top of the red scalariform sign. 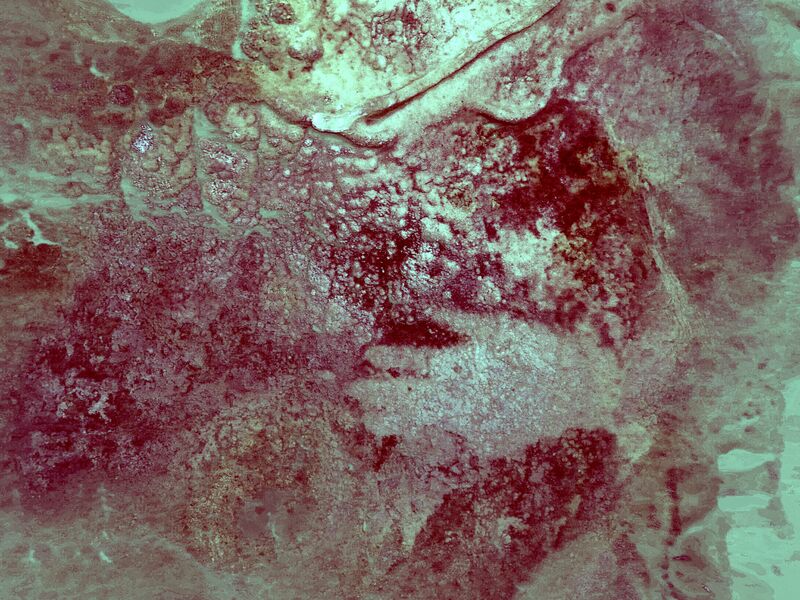 The U-Th method dates the formation of the crust which gives a minimum age for the underlying painting. The technology used, Uranium-Thorium dating, requires a very small sample and returns more precise dates going back further in time than radiocarbon dating based on the radioactive decay of Uranium into Thorium. 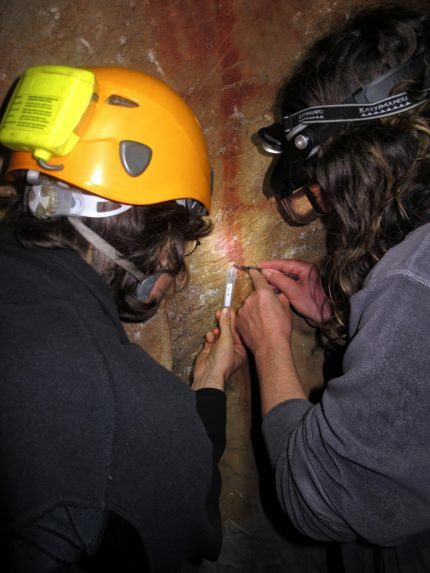 Researchers tested more than 60 carbonate samples from cave paintings in three Spanish sites, La Pasiega, in Cantabria, north-eastern Spain, Maltravieso in Cáceres, western Spain, and Ardales in Andalusia, southern Spain. 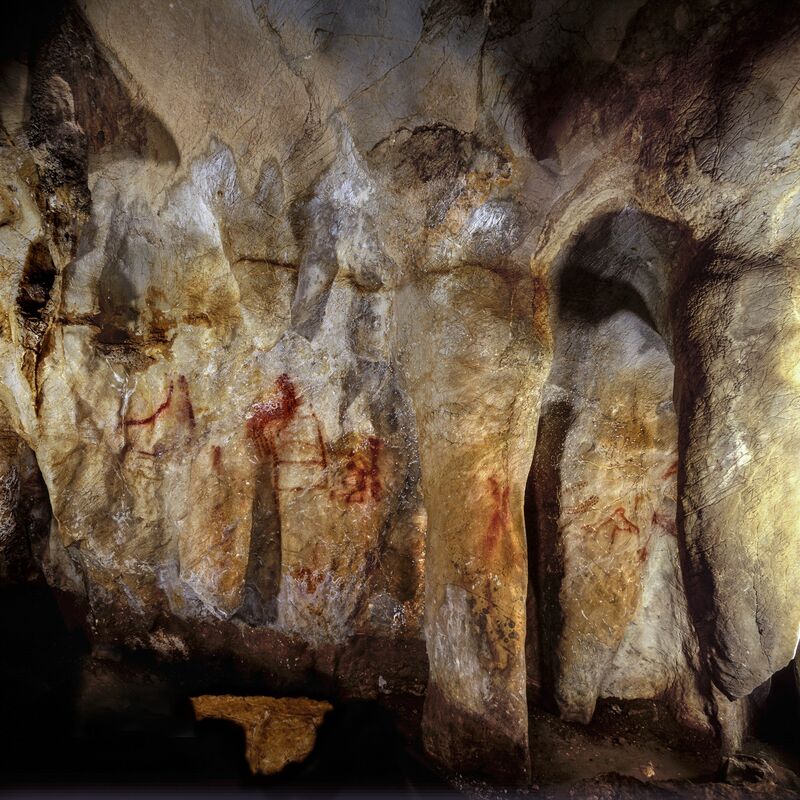 The results found that the paintings are at least 64,000 years old. In La Pasiega, the ladder with animal shapes in the interior rectangles and dots on the inside is a minimum of 64,800 years old. The red-painted speleothems in the Ardales cave are more than 65,500 years old. 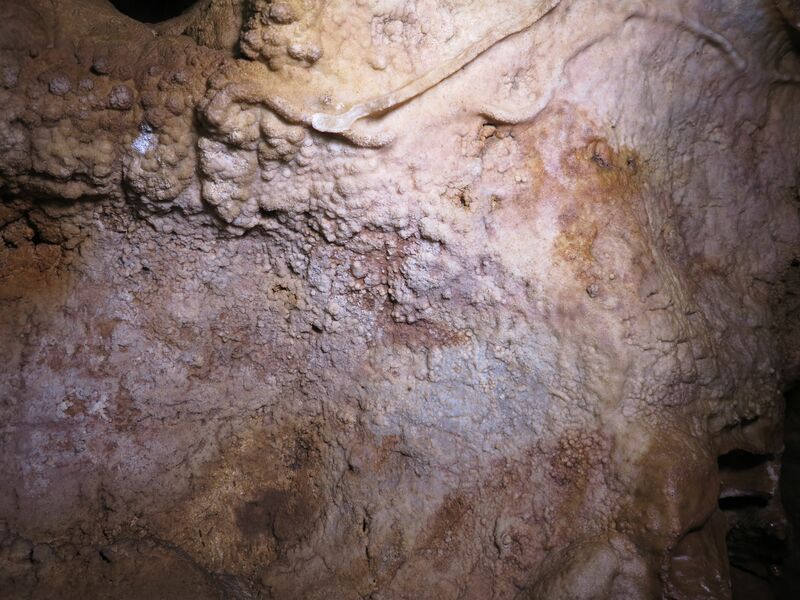 A hand stencil in Maltravieso is more than 66,700 years old. 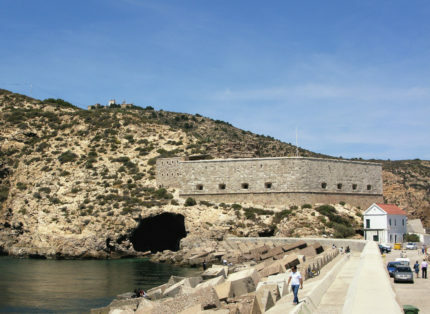 All of them long predate Homo sapiens‘ arrival in Spain who only moved to the area 40,000 years ago. The results of the testing have been published in the journal Science and can be read here. Samples from all three caves from the north, center and south of the peninsula date to the time when Neanderthals were the only human species in the area, which means these paintings aren’t random or some one-off fluke, but rather a conscious, well-developed cultural approach with specific symbolic meaning and thoughtful application. 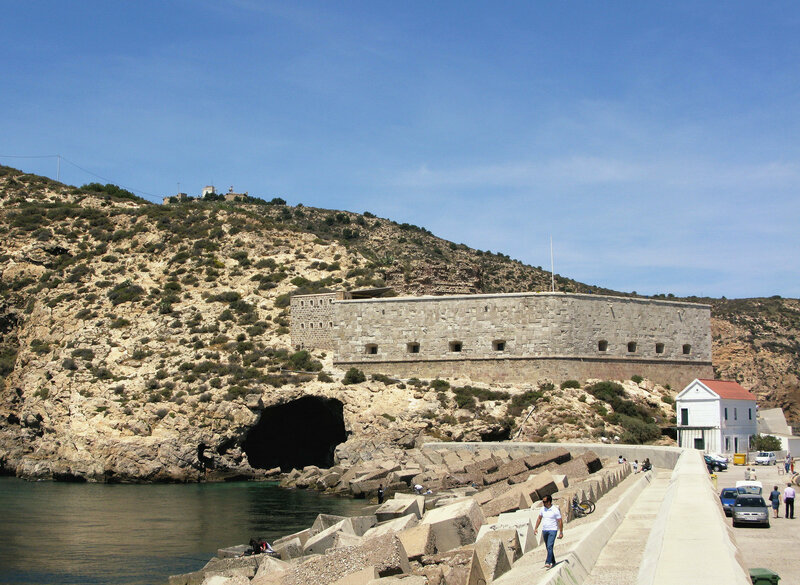 The locations, all of them in the depths of caves where they did not live, light sources and pigments were chosen with careful deliberation to make their artistic and spiritual visions come to life. 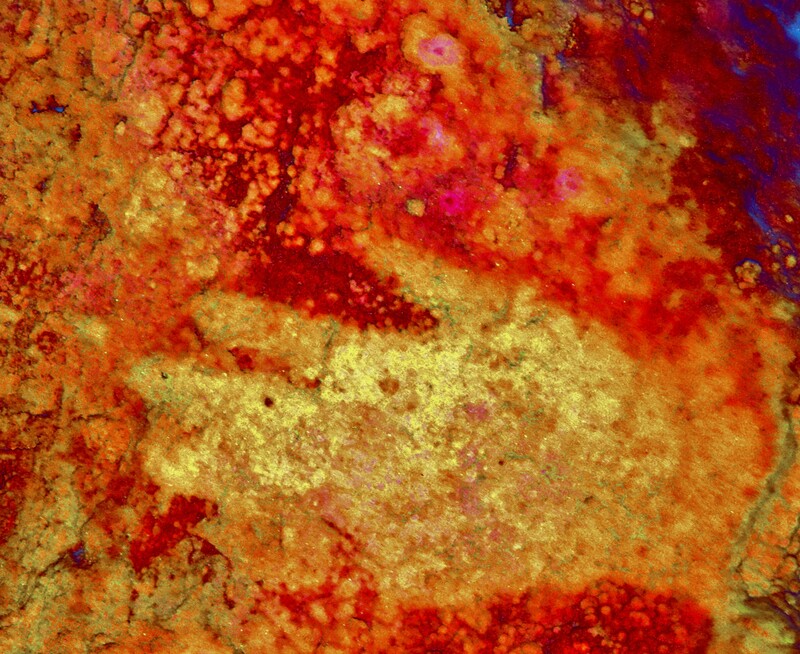 Even older examples of the Neanderthal ability to convert abstractions into art have been found in southeast Spain in the Cueva de los Aviones. Marine shells discovered there are pigmented with red and yellow and perforated. Again using Uranium-Thorium dating, the team has dated the flowstone covering the shells to an astonishing 115,000 to 120,000 years old. Homo sapiens produced similar pieces but the earliest of them date to between 20,000 and 40,000 years ago. The results of the shell dating study have been published separately in Science Advances and can be read here. When the fossilized remains of Neanderthals were first discovered in the 19th century, one of the proposed names for the hominid species was Homo stupidus. They were held to be apelike and unintelligent, incapable of abstract or symbolic thought. The confirmation that they were not only capable of symbolism but also pretty freaking phenomenal artists puts to rest those old prejudices once and for all. Neanderthals were just as cognitively capable as modern humans.